I have been a long time subscriber to InBusiness Magazine and the online version at www.ibmadison.com. So it was an absolute honor to have Lost and Found Ring, LLC be featured in the EZine edition of the magazine. Jan Wilson wrote up a fantastic article on how we got started in the business, why we started the lost ring finder business as well as highlighted a couple of our favorite lost ring hunts. 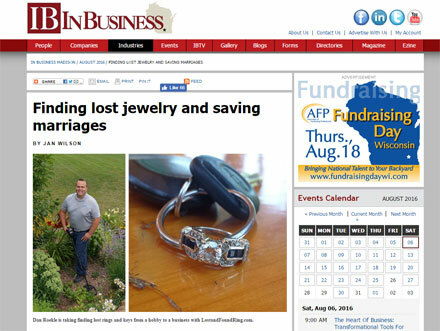 It was fun to do an interview focusing more on the business side of Lost and Found Ring. Questions like “How can you pay the bills working on a reward basis?” were a little bit challenging to answer. The honest truth is that I will never be able to run this lost ring finder business as a sole source of income. There just isn’t enough demand in the Madison, WI area. Seems like recently over 50% of my hunts are between 1 and 2 hours driving distance away. This is hard from a business point of view, because I have to charge a higher “call out fee” to cover our driving expenses, which then cuts into the amount of the reward people are willing and able to pay. Like I say, we don’t do this for the money, but the money helps us keep doing what we are doing. We have a number of monthly bills that need to be paid to keep the business viable. Items like liability insurance, Google Ads and website hosting fees account for over $1,000 a year. We also have to maintain our metal detectors so that they perform 100% of the time. Worst thing possible is to go out on a lost ring hunt only to later find out your metal detector may have been faulty (this has only happened to me once while hobby metal detecting). This means that we need to make $1,000 of rewards just to break even. 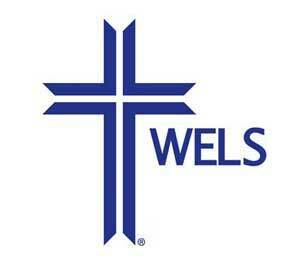 To top it off, we donate 25% of all fees and rewards (not net profit) to Westside Christian School in Middleton. So, you can see we truly don’t do this for the money, we do it to help people in the community, for the thrill of the hunt, to teach my kids the value of service and to hear the stories behind each ring that is lost and then found.